The museum, founded on 19 December 1999, represents a tribute to the master stone-cutters of Firenzuola, and a celebration for Pietra Serena, a material that has assumed a fundamental importance in the stone-cutter history and tradition of Firenzuola. It is hosted in the underground setting of the Fifth Century fortress "la Rocca" brought to light during a restoration project of the square. Therefore, the defence structures of bastions, as well as arms rooms and walkways in the gallery represent the particular scenario in which museum sections are developed. 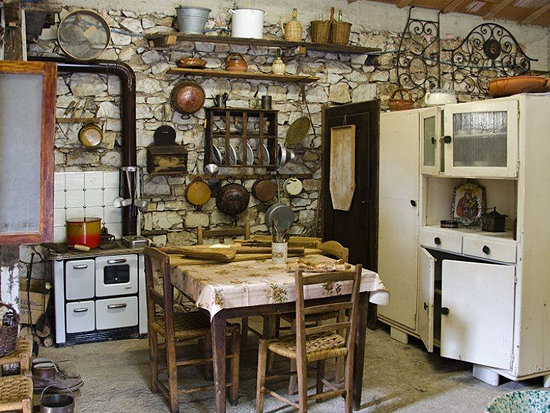 A section is dedicated to "daily artifacts", typical objects of farmers dwellings as sinks, fireplaces, grindstones and watering places existing in mills, olive oil mills, stables and farmyards. The museum also dedicates a section to tools employed by master stone-cutters in their job: jacks, bush hammers, marteline, stonemason's hammer and chisel. We can find the connection to our days in some contemporary sculpture works in spaces that lead to the end of the museum route, in the circular opening covered by a vault and intended to accommodate arms when Firenzuola was a fortified outpost of the Republic of Florence. The Gruppo Archeologico di Bruscoli (G.A.B.) (an archaeological group) makes an inventory of and studies, from a historic-archaeological point of view, the mountain territory and the upper valleys of the Futa Pass. The museum allows visitors to know the history of this area, the events occurred there over the centuries and the marks that they have left, all with the aid of documents and plastic reconstructions (there are more than one hundred exposed objects). 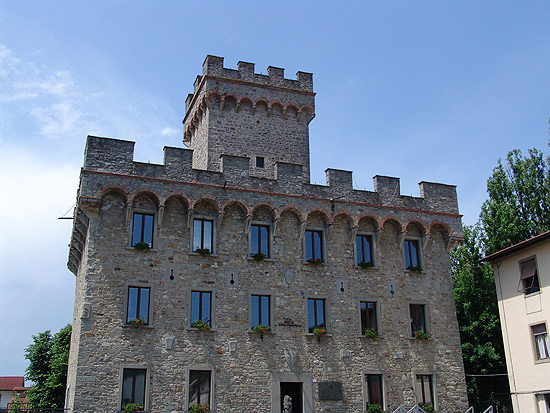 The museum itinerary is articulated in three sections: geo-archaeological finds resulting from digging campaigns carried out along ancient cobblestones and on the ruins of the Medieval Castle of Alberti Counts in Bruscoli; customs and tradition of farmers civilization, tools, utensils and environment reconstruction; remnants of war of the Second World War relating to the Gothic Line which passed through these territories. 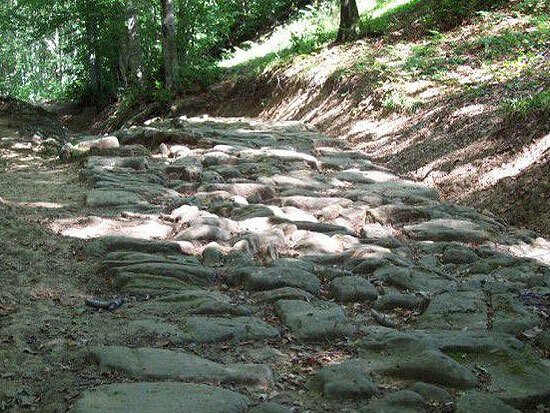 The Roman road, military Flaminia, which was constructed by consul C. Flaminio in 187 B.C., connected Bologna to Arezzo crossing the Apennines at the Futa Pass. 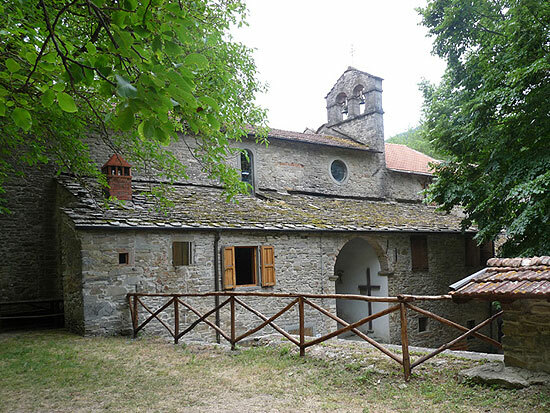 This museum is significantly placed in the local of the historic Badia di Moscheta, protagonist of the Apennines landscape drawing, to identify marks and modes according to which the relationship between natural environment and human actions has been developed over the years. The museum itinerary is organised to allow a progressive reading of the peculiar features of the Mugello Apennines landscape; a particular space is reserved to cognitive/perceptual experiences of natural world in its entirety (geology, fauna, flora). The first section is dedicated to the Badia di S. Pietro in Moscheta and to the consequences that the monk action have had on the wood and settlement organisation; the second section "il paesaggio percepito" (the perceived landscape) allows to explore the landscape "from within". The elements suitable for defining the peculiarity of the landscape are identified through a time itinerary which selects the marks impressed on the environment from human action, organised in 5 scenarios corresponding to the same number of historical eras: The castle and forests landscape; "Terre nuove" (new lands), cultivated lands and woods; The Apennines landscape invention: roads, villages and countryside from the Eighteenth to the Nineteenth Centuries; The farms-villas landscape from the Nineteenth to the Twentieth Centuries; From the uninhabitated mountains to the reinhabitated mountains. The Little Museum of Covigliaio was born in 2012 on the initiative of Mario Mantelli who, over the years, has recovered, guarded and repaired some tools of the farmers and artisan civilization. The Little Museum is composed of animal traction farm carts of various shapes and for several uses, ploughs, harrows from several eras, seeder, fodder cutter machines, a cylinder machine for separating wheat, barley, etc. from vetch in two pieces, "spularine" (machines for clean the wheat from chaff), granary and cellar tools; moreover, there are metalworker, farrier, carpenter, cobbler, butcher, pork butcher, etc. tools.